Suicide is a significant problem for many adolescents in Native American Indian populations. 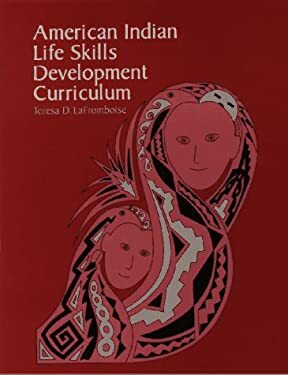 "American Indian Life Skills Development Curriculum" is a course for high school students and some middle school students that is designed to drastically reduce suicidal thinking and behavior. Created in collaboration with students and community members from the Zuni Pueblo and the Cherokee Nation of Oklahoma, this curriculum addresses key issues in Native American Indian adolescents' lives and teaches such life skills as communication, problem solving, depression and stress management, anger regulation, and goal setting. The course is unique in its skills-based approach. After first increasing awareness and knowledge of suicide, it then teaches students specific methods to help a peer turn away from suicidal thinking and seek help from an appropriate help-giver. The skills-based approach of this curriculum follows well-established teaching methods to develop social skills. Teachers and peers inform students of the rationale and components of a particular skill, model and demonstrate the skill for them, and later provide feedback on individual skill performance. New (108 available) BRAND NEW. Over 1.5 million happy customers. 100% money-back guarantee. Make your purchase count: support Better World Books' worldwide literacy partners.